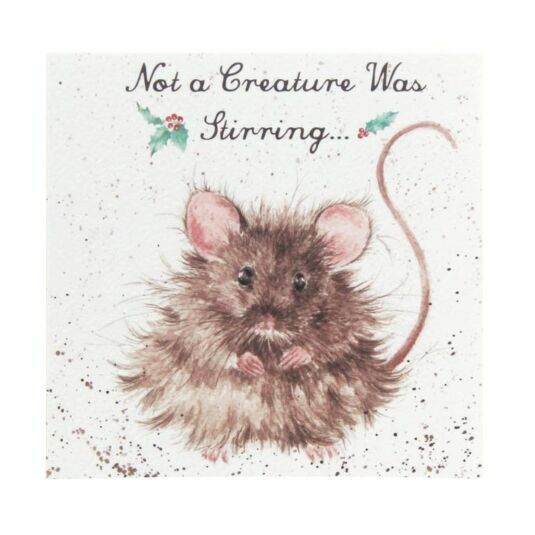 This greeting card features a fluffy Mouse, with bright, beady eyes. The image is painted in soft browns, in the watercolours style that is the signature style of Wrendale designer Hannah Dale. The inside reads With Best Wishes for Christmas and the New Year. This card will appeal to animal lovers and those who love the countryside. The card has a textured finish and is produced on board sourced from the Lake District and chosen for its superb quality and eco friendly qualities.